While our friend and Longstreet superfan @Eleanor Rose is on her vacation, I hope everyone will post a little something Longstreet-inspired: photos, anecdotes, trivia - anything to show a little love to Ol' Pete! One of my favorite passages from The Killer Angels is the conversation about poker - which I don't have available right now - but this is a close second. I liked some of the anecdotes in this article. Many of them were new to me! Longstreet had courted Maria Louisa Garland before the Mexican-American War but her father had not given the permission to marry yet; they´d eventually have it and do so afterwards in 1848. During that war, as Longstreet himself wrote, he carried a daguerreotype of the smiling Louise in his breast-pocket. I know he caught it for the beard, but I don't care ~ Berenger made a fine Longstreet. Here's the poker scene from Killer Angels - love this part!! Just one more reason why I really am a superfan! "In the late rebellion, I think, not one charge was ever brought against General Longstreet for persecution of prisoners of war or of persons for their political opinions." ~General Grant to President Andrew Johnson after the war. @amweiner & @LoriAnn - It's a rainy day in Boston so you know I had to check in. The weather is soooo yucky we're actually planning to have dinner at the hotel tonight. Should be a great time for New England clam chowder and an Espresso martini! @nitrofd - We had Boston Cream Pie last night just as you suggested. Best ever!!! I went for the lobster on our first night in town! Tomorrow's forecast is sunny and upper sixties so we'll be back out and about. Miss you friends! Stay dry, @Eleanor Rose!! Weather aside, I hope you're enjoying your trip and making great memories! Very grateful to everyone who's participating in our little present for you (you included! ), and that you're going to have some quiet time to soak it all in. Be safe and we'll raise a toast to both of you! Glad your trip is working out,just try and be safe especially in foul weather. This was a good article on Longstreet's wounding. Amazing that he survived it, and apparently was able to regain his full level of functioning after healing. The SS James Longstreet, a liberty ship of World War II named after the general. It was launched in 1942 and served until she ran ashore in a gale at Sandy Hook (NJ) 18 months later. Then she became a target ship for missiles and live ammunition. The Navy and Air Force utilized her as such until she sank in 1971. The wreck is still at Cape Cod (MA). "Bad as was being shot by some of our own troops in the battle of the Wilderness, - that was an honest mistake, one of the accidents of war, - being shot at, since the war, by many officers, was worse." I bet @FarawayFriend would enjoy this thread. 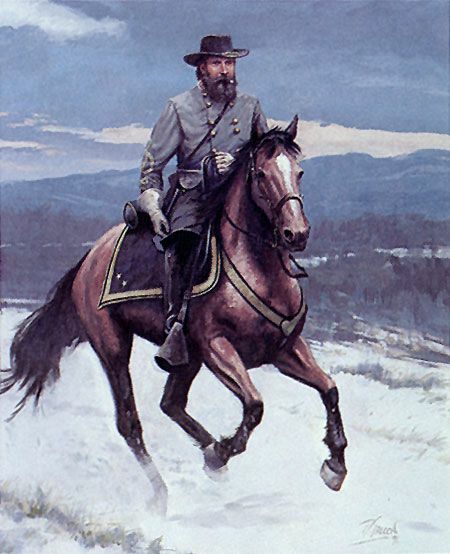 I seem to remember reading somewhere (terribly vague, sorry) that Longstreet did not tolerate the mistreatment of horses. That stuck with me, mostly because when I read that someone is compassionate towards animals, I instantly like them. And as I have missed this thread up to now, I think I may add something else. Coming from the preface of the book "Lee and Longstreet at High Tide", written by his second wife Helen Dortch Longstreet, I will attach this little gem. Was a pretty interesting one. Also discussed here in the Video Discussion 27: Longstreet at Appomattox. I do not know if that was said about Longstreet but it definitely was said about U.S.Grant.He saw a soldier hitting a horse and the soldier was severely punished. Yes, I remember thinking they had this in common. BUT...I could be getting the two men confused.